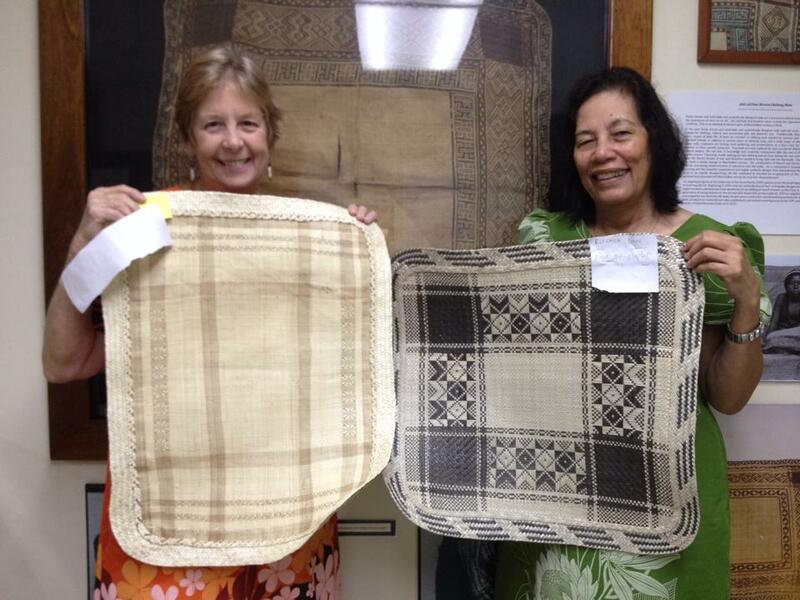 The best of the show, a finely woven mat by Elisa Samson from Jabwon, Ailinglaplap, is on the left, the tan and light brown mat and is the finest weaving anyone has seen in the Marshall Islands for many decades. This mat is so fine and soft it could be used as clothing. The other Jaki-Ed on the left is a beautiful mat woven by Elisana Emos from Airok, Ailinglaplap.